All homes currently listed for sale in the zip code 78213 as of 04/25/2019 are shown below. You can change the search criteria at any time by pressing the 'Change Search' button below. 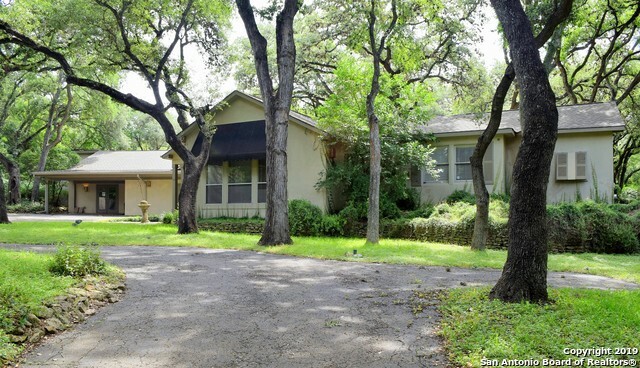 "Hidden Castle Hills Gem Awaits Under Century Old Live Oak Trees! 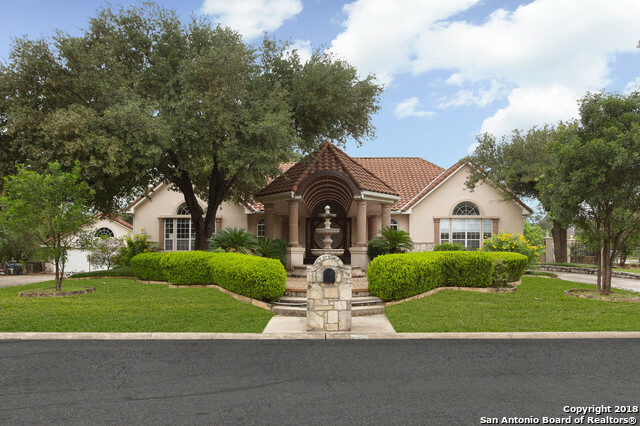 This Timeless Estate Boasts Beautiful Saltillo Tile Meandering through an Open Floor Plan. A chef's kitchen, quartz countertops, DCS Stainless steel appliances, large casement windows, 2 wood burning fireplaces, private master suite with outside access. Private secondary bedrooms with a study or 5th bedroom. 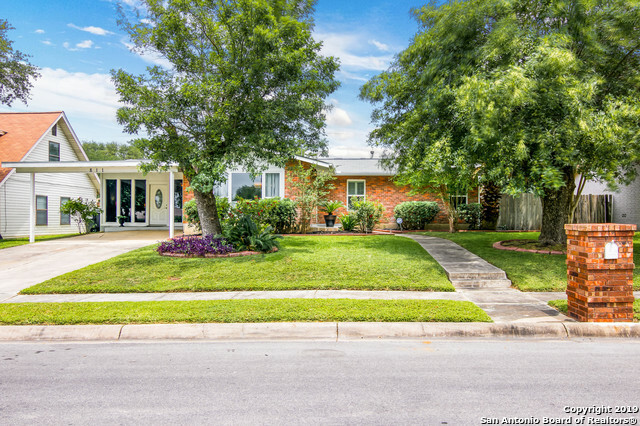 Minutes away from Downtown, Airport, Medical Center, Dining, and Shopping." "Castle Hills classic. One plus acre, 4/4.5 , one story, like living in a park. Wood floors, stained concrete, soaring ceilings, very generous master with travertine bath, as well as 3 closets. Hand crafted, see-through fire place, architectural features, large rooms, brightness from generous windows. A pool with seating galore on covered patio and picnic spaces and lovely trees. Terrific north central location. Gracious living at it's best. Who wouldn't want to live on Fox Hall Lane." "This is a one of a kind beauty is just outside the loop on .65 acre with a Grand entry, full walkout basement, a guest house, an inground pool with his/her bath house, circular drive, porte cochere, safe room with bathroom and kitchenette, a 300sqft enclosed patio All new tile and wood flooring, repainted throughout The detached qtrs include 1000sq ft 1 bed 1 bath guest house. Relaxing backyard and pool to cool down in the summer time and perfect for entertaining. Many other multi purpose rooms"
"HOME APPRAISED AT 750,000! part seller finance may be considered with right terms. This home has at 4 bedrooms on the 1st floor! DUAL MASTERS 2 Stone Fireplaces, Vaulted Ceilings, Media rm, Exercise rm, LR, Family rm, Office, Formal Dinning & Breakfast, Hobby Room too. Outside Access to Mother in laws Guest quarters has a full kitchen! 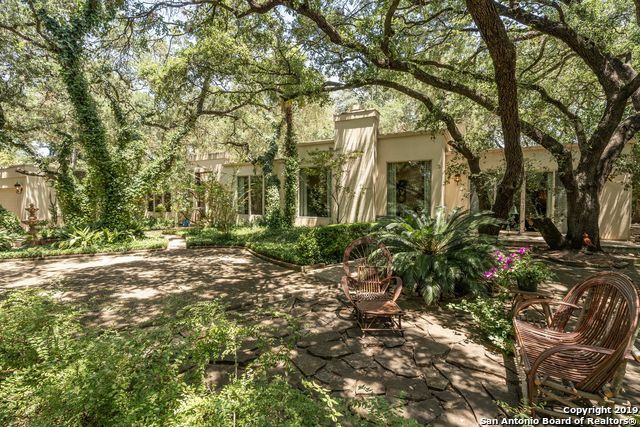 huge Wood Beams, dramatic circular drive, Mature trees on a 1/2 acre lot, pool with slide,outdoor living,rich kitchen with butcher block,updated windows,"
"Enormous Beauty w/ Towering Oaks, Spectacular 35,000 gallon In-Ground Pool surrounded by flagstone on half acre lot. Built Solid with 2 HVACS one of which is brand new. 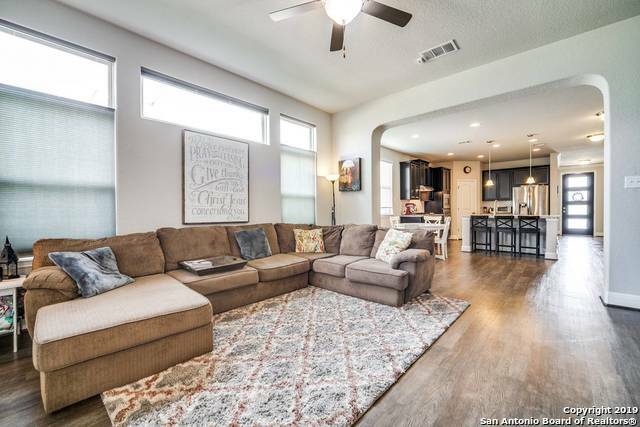 Brand New Heavy Dimensional Shingled Roof, Hardwood flooring, Gourmet Kitchen w/ Granite counters, Oversized tile, Masonry/Cedar Interior Walls, A Serving Bar, and tons of storage areas. Master Bedroom has on-suite as well as sitting area with fireplace. Incredible family home." 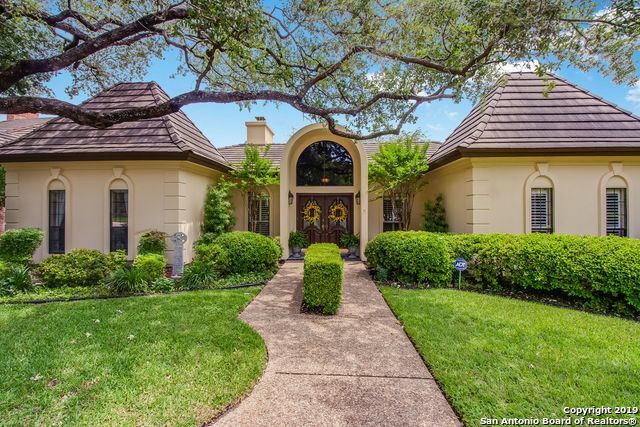 "Beautiful 1 story in Castle Hills. 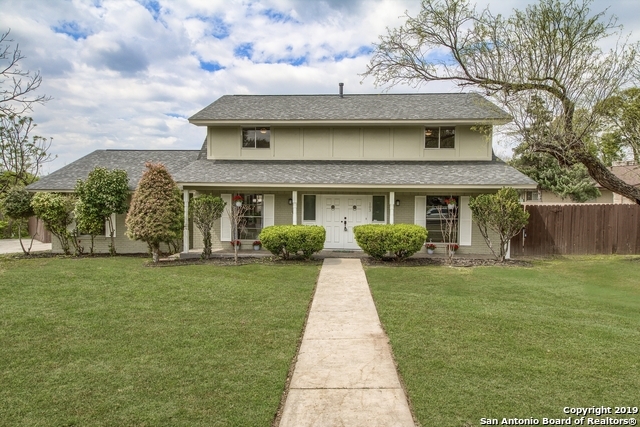 There are 3 bedrooms, 3 full baths w/ rear entry garage. Updated kitchen w/ granite counters, stainless appliances & gas range. Separate formal dining room & living room looks out to private pool w/ spa. Master bath has been updated w/ his/her shower & granite counter tops. Extra large closet space in master w/ attached office. Fireplace in Master and Living room. This house is beautifully updated and shows like a model. Outdoor space great for entertaining!" 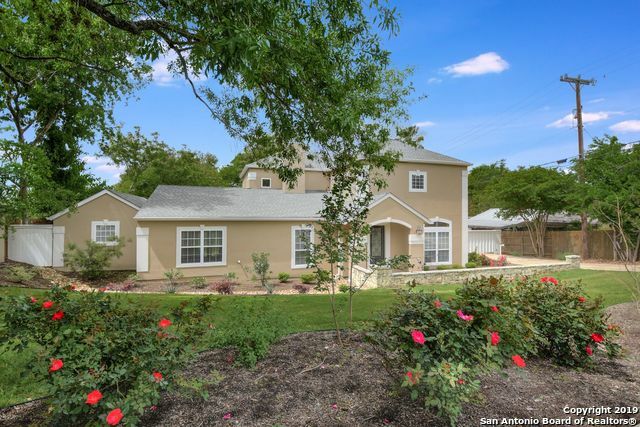 "Perfectly stunning large Castle Hills home with recent upgrades - ceramic tile floors, electronic gate, new doors, appliances, fresh paint, lush landscaping. Spacious and tasteful finishes throughout. Bonus room over garage plus private bath, perfect for guests, teenager, nanny, Air B&B. Master suite with large private bath, walk-in closet, and outside access. Close to 410, airport, North Star Mall, 281 with quick access to downtown." "BEAUTIFUL REHAB 1 STORY HOME WITH 4 BEDROOMS AND 3 1/2 BATHS. NEW WATER HEATERS, INTERIOR PAINT, LAMINATE & CARPET FLOORING, PLUMBING FIXTURES, LIGHT FIXTURES, GRANITE COUNTERTOP, CABINETS, 3 KOHLER TOILETS, STAINLESS STEEL APPLIANCES, AC COMPRESSORS, FURNACE, DUCT WORK, RESURFACED VANITIES, GRANITE RESURFACE PATIO FLOOR, REPLASTERED INGROUND POOL & DECK. LARGE CORNER LOT AND REAR PATIO. PLEASE VERIFY SCHOOLS, ROOM SIZES AND SQUARE FOOTAGE. FOUNDATION WORK BY PERMA PIER WITH TRANSFERABLE LIFETI"
"PRIME LOCATION INVESTMENT! 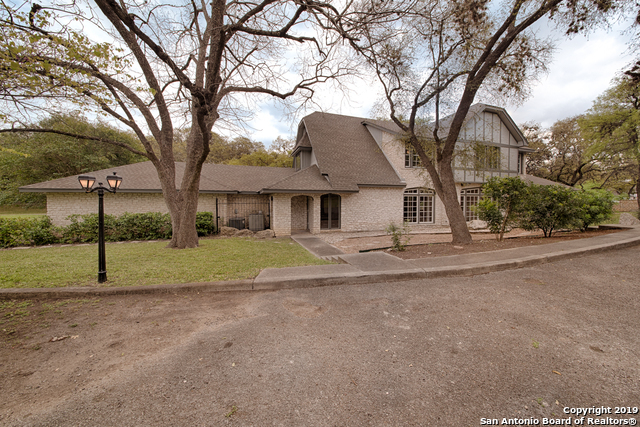 over half an acre, 3 bedroom, 2 bathroom house in coveted Castle Hills with a detached 1 bed/1 bath apartment and detached 2 car garage. Turn it into the house of your dreams or buy, rehab and hold as a rental. If interested in commercial or light commercial use, buyer must apply at the City of Castle Hills for a special use permit or for rezoning. Seller will to work with buyers on times needed for this process. Buyer to pay for closing costs. May qualify for a Renova"
"PRICE IMPROVEMENT! 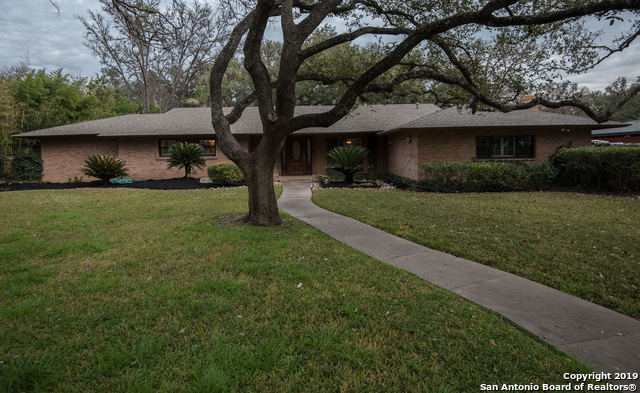 Sparkling & spacious Castle Hills beauty w/built-in pool! 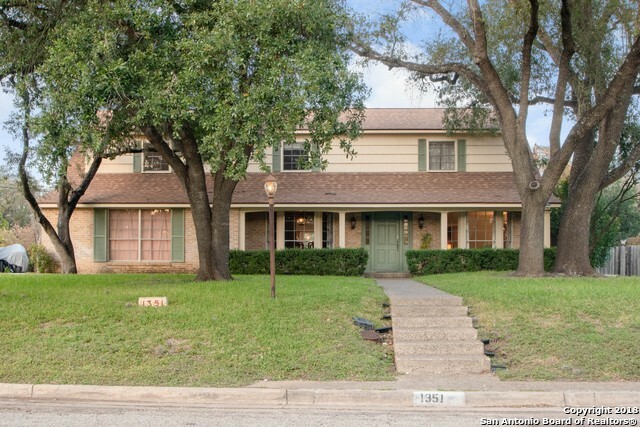 Well-cared for home with all new paint, granite, stainless appliances, light fixtures & fans. Wood laminate floors in entry, living & dining rms, stairs, hallway, master suite. Family room w/wall of built-ins open to island kitchen. Dual downstairs master suites w/full baths perfect for guests/mother-in-law! No carpet downstairs, just tile & wood laminate. Three generous bedrooms w/new carpet. Two-car garage & circular "
"This beautifully renovated split-level home features 4 bedrooms, 2.5 baths, two large living rooms, a wet bar, a beautiful fireplace, wood floors throughout, quartz counter-tops throughout, and walk-in pantry. You will have no shortage of entertainment space and will enjoy a large covered patio. Come inside, look around, see yourself living here, and make an offer today!" "OPEN HOUSE APRIL 12th. 1-3 pm!This is a one of a kind home in a great location. Walk into a round foyer, impressive spiral staircase and gleaming hard wood floors that greet you as you enter this unique, custom built home.Open floor plan with high ceilings, plantation shutters throughout. Inviting renovated kitchen with top of the line white statuary marble countertops and stainless steel appliances. Master Bedroom downstairs with his/her closet. 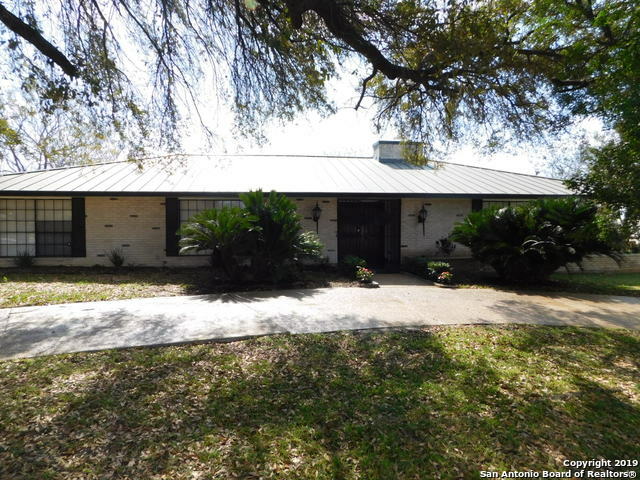 Easy access to Loop 410, I-10, 1604, Mall, airpor"
"This Beautiful 4/3 Meritage Home is like New. Built in 2017 you will have access to San Antonio Living in the Heart of Castle Hills at the Preserve. Features include open floor plan, master down with 2 additional bedrooms and an oversized living area up with bedroom & bath. Island kitchen with 42 cabinets, stainless steel appliances. Garage is oversized as a 2.5. Backyard and front yard will be sodded and trees planted." "Remarkable remodel w/open concept design & modern flair. Welcoming foyer leads to striking living area w/built-ins. Stunning ktchn showcasing updated cabinets, granite, backsplash & gas stove. Florida Room updates incl: 2 sliding doors, flring, siding, insulation & lighting. Other updates incl: windows, breaker box, recessed lighting, bathrooms & porcelain wood like flring. Vaulted beamed ceiling in dining & inviting fireplace. Private mstr suite w/ full bath. Peaceful bkyd w/shed for extra sto"
"This fantastic home offers a flexible floor plan that is great for entertaining or relaxing by the pool, and you're located in one of the most desirable parts of town. Four beds and three baths, two living spaces, plus a nice sized dining room. Gas fireplace in the den. All the bedrooms are large with ample closet space. There's a lovely patio that leads to the in-ground pool, all on a beautifully verdant .43 acre lot with mature trees and established landscaping. Too many upgrades to list." 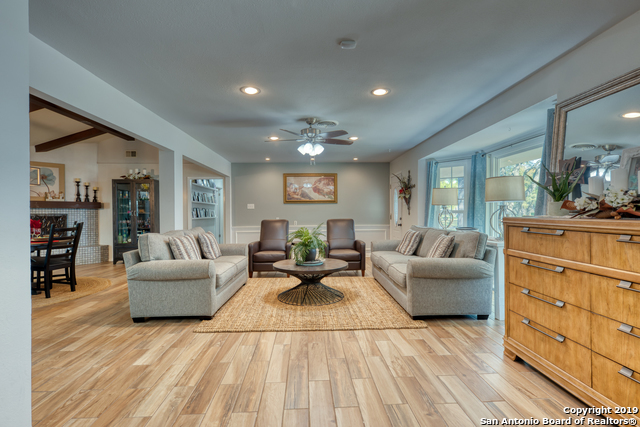 "Complete Remodel from top to bottom! New roof, driveway, back patio perfect for entertaining. Upgraded flooring throughout with all new windows, fixtures, sinks, hardware etc. Do not miss out on this opportunity to buy your dream home in Castle Hills!" "This beautiful gem features 5 bedrooms, 2 1/2 baths with downstairs master suite, 2 eating areas, 2 living areas & a study. The living room features a quartz & marble fire place while the kitchen has beautiful granite counters, new SS appliances & bright white cabinets. While recessed lighting and new light fixtures are featured throughout the stunning master suite delivers luxury with a frameless shower and tiled floors. 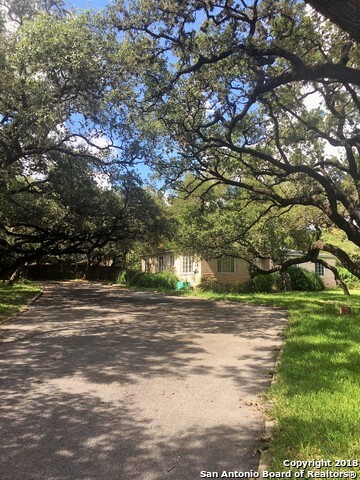 Finally end your days relaxing next to your gorgeous pool or fire pit o"
"Gorgeous single story ranch nestled in Castle Hills with a canopy of oak trees draping the street. Updated home with granite counter tops, stainless steel appliances, hardwood floors in living areas, tile in the wet areas and new carpet in the bedrooms. Relax in the beautiful backyard that is paradise with a pool. Check out the workshop tucked away in the backyard." "HOUSE IS IN CASTLE HILS CITY - GREAT SCHOOLS !!!! 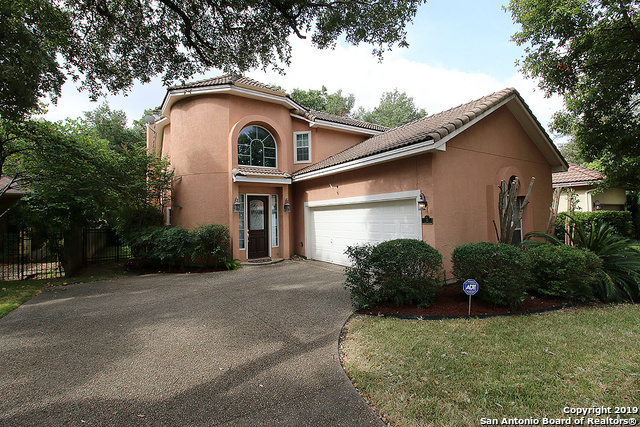 Gorgeous home located in the prestige established CASTLE HILLS SUBDIVISION. This charming home has 4 bed, 3 bath, 2 living areas, dining room, and eatery kitchen. Large backyard, Mature trees and a lush green lawn. Roof installed in 2016. Very well maintained home!" 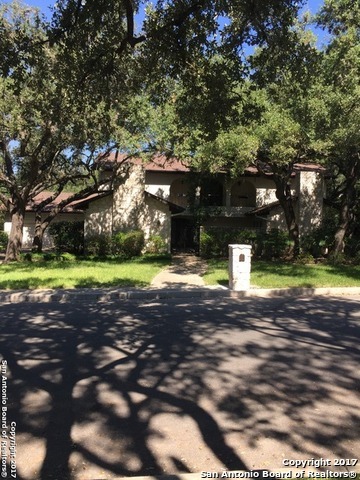 "Luxury, move in ready Ranch Style Home in highly desirable Oak Glen Park. Close to great retail, restaurants and easy access to loop 410 , Wurzbach Pkwy and Hwy 281. Quartz countertops, porcelain flooring, stainless steel appliances set this gem apart. Energy efficient, newly engineered foundation (20yr Warranty), new roof and privacy fence." "It's all about the location of this home. 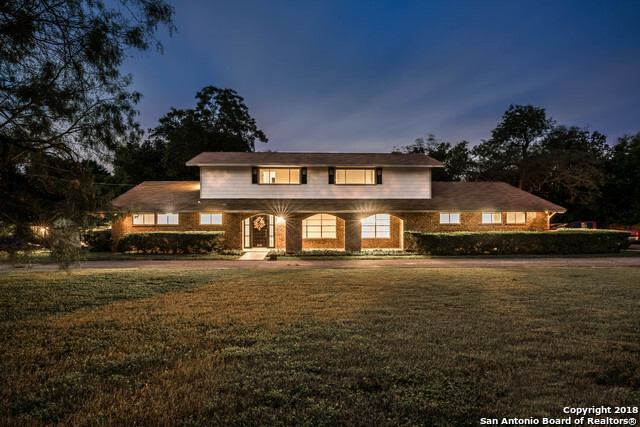 Large home in Castle Hills features 5 bedrooms, 5 bathrooms, multiple living and dining areas with dual master bedrooms. Great for entertaining with a bar, in-ground pool and plenty of patio space & deck overlooking backyard. Master bedroom down stairs, secondary bedrooms and bonus room upstairs with balcony. This unique home is has tons of space to spread out, work from home and entertain." 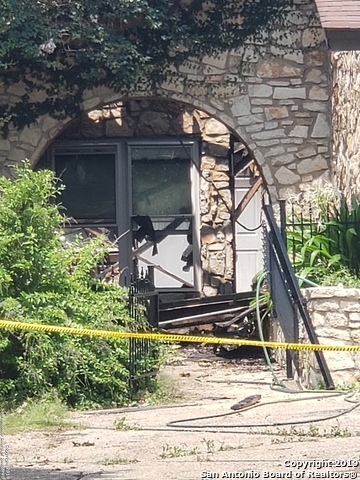 "GREAT LOCATION IN castle hill, ONE STORY 4 SIDED BRICK, MATURE TREES, 4 BR 3 FULL BATH AND PLENTY OF PARKING IN THE BACK YARD, ALMOST HALF AN ACRE , BEAUTIFUL HOME, SOLD AS IS NEED LITTLE TLC." 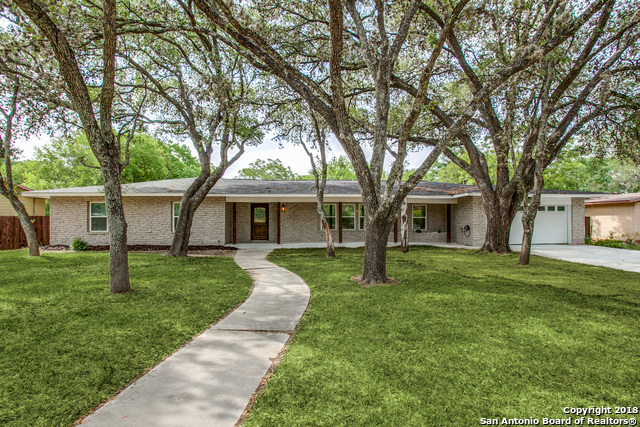 "Ranch style home sitting nestled amongst Oaks and Pecans on just under one acre in Castle Hills! Enjoy the space, privacy, and wildlife of the country, just minutes from the City. Renovate this property into your dream home or build your new luxury home on this secluded site. Plenty of room for a pool, casita, storage buildings and more. It's hard to find this much land this close to Downtown."